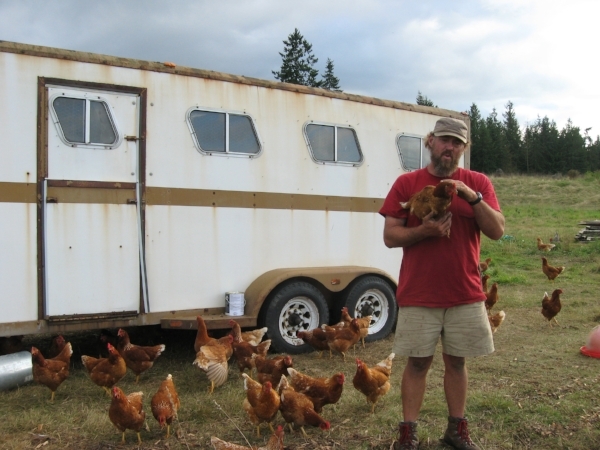 SpringRain Farm & Orchard is a certified organic family farm located in the heart of Chimacum on 28 acres of prime agricultural land. We grow a wide variety of berries, orchard tree fruits, perennial vegetables, greenhouse crops, salad greens, and also produce honey, eggs, chicken, rabbit, duck, and lamb. In addition, we produce value-added products such as dried herbs, farmstead jams and jellies, and various pestos. Our mission is to use the best available knowledge to sustainably and organically produce food for our local community. 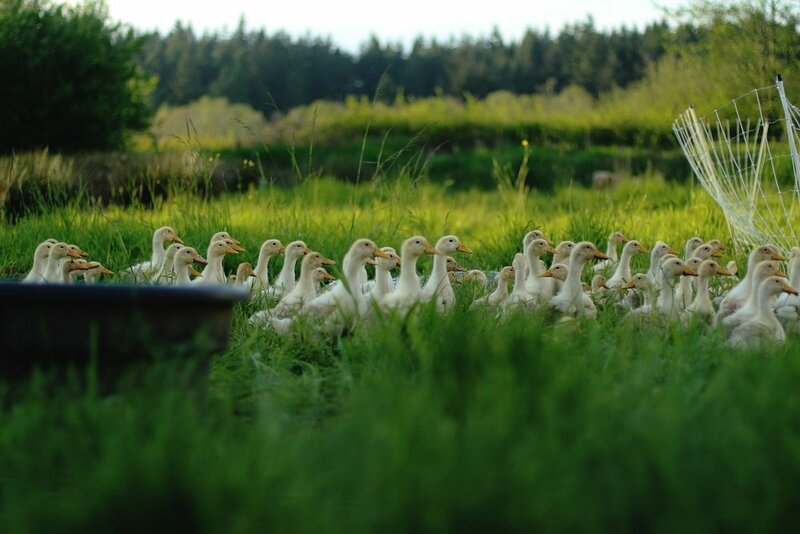 We sell 100% of our products within a 100 mile radius and work to provide a wide range of healthy, ethically-raised food that meets most nutritional needs. We use a diversified farming system that involves protein, vegetables, fruit, and pollinators to provide the most sustainable system possible. The whole team takes their cue from nature and strives to develop an ecological system that mimics a natural ecosystem. At SpringRain Farm, we are committed to conservation and caring for the land we live and grow on. We donated a conservation easement on the farm to the Jefferson Land Trust which means our property is protected forever as farm land. We have worked with the Conservation District and Olympic Salmon Coalition to restore Chimacum Creek, a critical habitat for salmon. We have established a 4-acre riparian buffer around the creek and planted native tree species. The solar system we installed generates 12-15% of the electricity used on the farm. Our electric trucks allow us to move feed and harvested produce without using fossil fuels. Our unheated greenhouses help us conserve resources and provide food during the fall and winter months to our local community without additional energy input. We reduce carbon use by allowing our customers to purchase local food rather than food shipped from California and Mexico. We think deeply about the health of the soil, the water, the animals, the plants, and the people we farm with.